To be honest, this is not real Madras. The original gauzy, ultralight cotton fabric originated in India, and its adoption by British and American sportswear is well-documented. 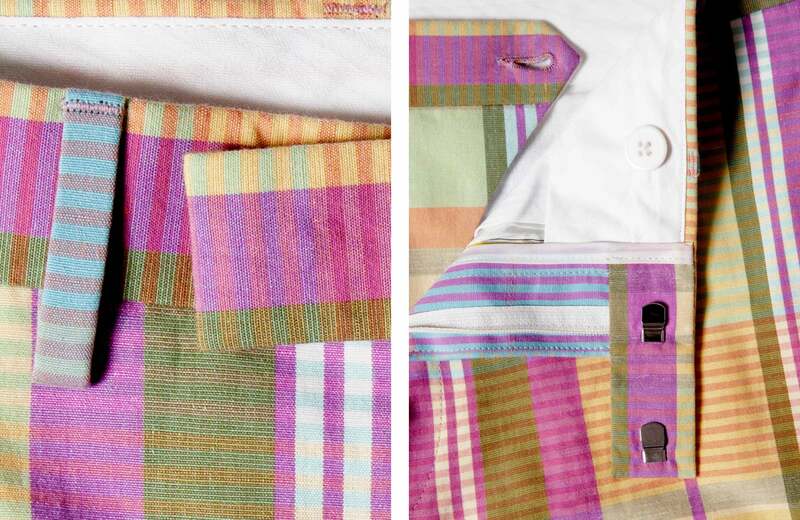 Brooks Brothers was one of the first American brands to use Madras, and they successfully turned its colors' tendency to bleed (something that would normally be considered a defect) into a desirable summer aesthetic. 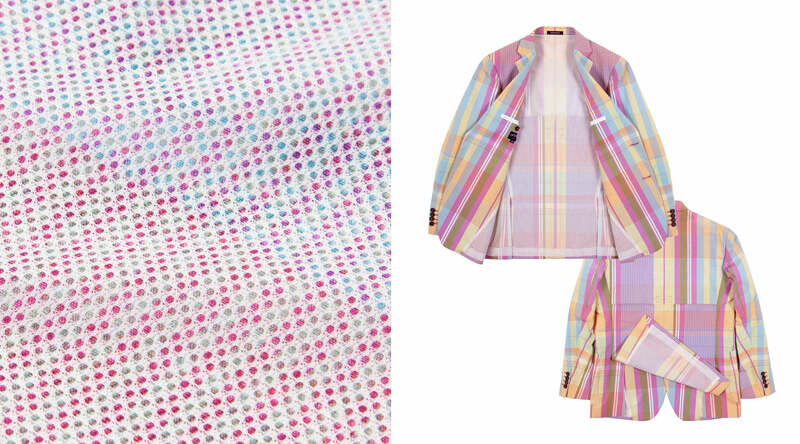 We’ve always been a fan of the bright, multi-colored plaid patterns it's famous for, but the incredibly loose construction of the cloth limits its versatility. While we recognize this serves a purpose in hot climates, it's always seemed like more of a problem than an asset. So we decided to create our own version. 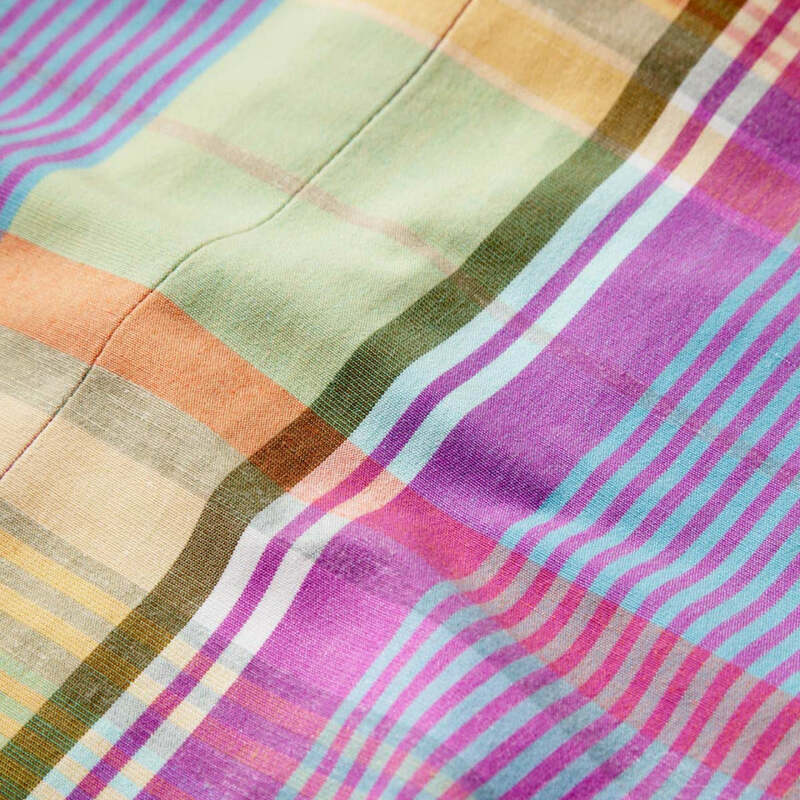 Our Madras is produced in Italy and has a far sturdier, denser weave, making it more suitable for where we live. 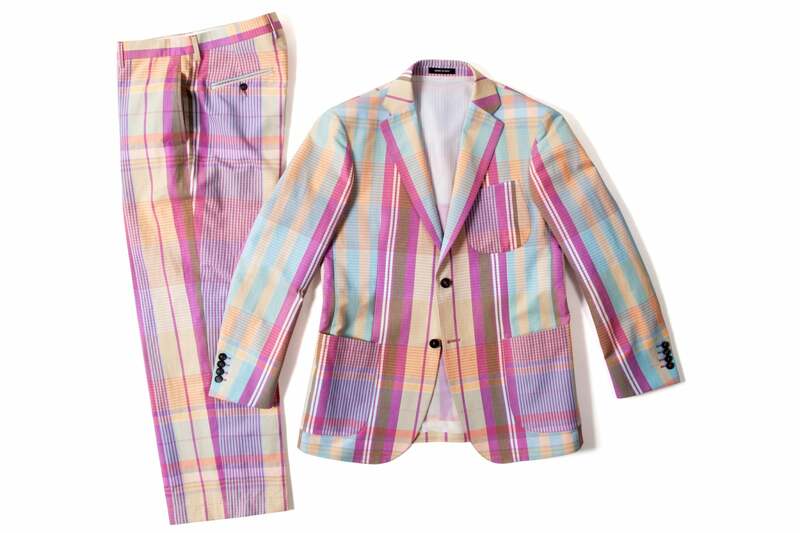 We kept the bright colors and bold pattern that's made Madras exceptional and unique for centuries, but added enough lightweight structure to stand up to a summer sport coat. With a mesh lining that improves air flow, and a lateral back vent that allows excess heat to escape, Noah's Madras Blazer combines classic Italian tailoring with activewear details. It's a dressy summer jacket that remains cool and easy to move in.